How safe is the air you're breathing, and where is it coming from? Tune in to "Toxic America," a two-night special investigation, with Dr. Sanjay Gupta, June 2 and 3 at 8 p.m. ET. Westlake, Louisiana (CNN) -- Gather current and former Mossville, Louisiana, residents in a room and you're likely to hear a litany of health problems and a list of friends and relatives who died young. "I got cancer. My dad had cancer. In fact, he died of cancer. It's a lot of people in this area who died of cancer," says Herman Singleton Jr., 51, who also lost two uncles and an aunt to cancer. Singleton and many others in this predominantly African-American community in southwest Louisiana suspect the 14 chemical plants nearby have played a role in the cancer and other diseases they say have ravaged the area. For decades, Mossville residents have complained about their health problems to industry, and to state and federal agencies. Now with a new Environmental Protection Agency administrator outspoken about her commitment to environmental justice, expectations are growing. Herman Singleton Jr. has cancer, so does his father, and he lost two uncles and an aunt to cancer. Debra Ramirez said her sister died of sarcoidosis, an inflammatory disease. 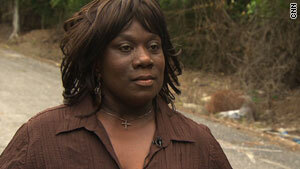 Dorothy Felix belongs to a local environmental group asking the government to intervene for health reasons. "I'm pretty hopeful now," say Debra Ramirez, 55, who grew up in Mossville and who lost a sister at 45 of sarcoidosis, an inflammatory disease. "I do see her trying to do the right thing." Lisa Jackson, a native of New Orleans, Louisiana, and the first African-American administrator of the EPA, this year listed environmental justice as one of her seven priorities. And the EPA held a meeting in Mossville last month formally kicking off a study designed to see if the community qualifies as a Superfund site, reserved for the most polluted places in the United States. Superfund site designation would bring federal funding for cleaning up Mossville. Mossville Environmental Action Now (MEAN), the local environmental group, has asked government and industry to relocate residents who want to leave, offer a free health clinic and lower emissions from the plants. 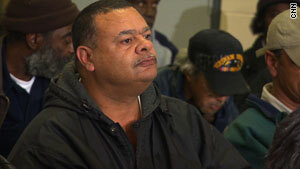 Superfund relocates residents only as a last resort. "There are people that are getting sick; there are people who are dying because of what is happening in our community. These chemicals are killing us. 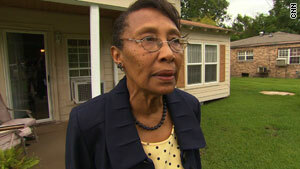 They will destroy Mossville if nothing happens," says Dorothy Felix of MEAN. Thousands of pounds of carcinogens such as benzene and vinyl chloride are released from the facilities near Mossville each year, according to the EPA's Toxic Release Inventory. The industrial boom began in and around Mossville during World War II. Vinyl chloride makers, refineries, a coal-fired energy plant and chemical plants now operate in what was once rural country, rich in agriculture, fishing and hunting. Robert Bullard, author of "Dumping in Dixie," says it's no surprise industry chose Mossvillle, an unincorporated community founded by African Americans in the 1790s. "What happens is zoning becomes very political, and what happens is people with power, with lawyers and elected officials who can fight for them and make decisions for them, oftentimes will get things placed away from them and placed in locations where other people live" Bullard says. Without the power, Bullard says, African-Americans have borne the brunt of living near industry, landfills and hazardous facilities. "African Americans are more than 79 percent more likely to live in communities where there are dangerous facilities that pose health threats," says Bullard, director of the Environmental Justice Resource Center at Clark Atlanta University. Bullard says Jackson has breathed new life into environmental justice since she took office last year. During the previous eight years, he says, "environmental justice was non-existent or invisible." Over time, Mossville residents became worried emissions from the plants were affecting their health. Those fears heightened in 1998 when the federal Agency for Toxic Substances and Disease Registry tested the blood of 28 Mossville residents and found dioxin levels three times the national average. Dioxins are carcinogens. Volcanoes and forest fires create dioxins naturally. They are also released during vinyl chloride production, at waste incinerators and by wood processing facilities. Residents were retested for dioxins in 2001, with similar results, but in 2006 the agency concluded that residents did not face a health risk, an assessment echoed by local industry. "The emissions from the plants are within the standards set by the various agencies, and they are of a level that they have no ill effects on the local community," says Larry DeRoussel, executive director of the Lake Area Industry Alliance. DeRoussel speaks for local industry. CNN invited all 14 companies to speak on camera. None of them accepted; some said interviewing DeRoussel would suffice. DeRoussel points to statistics showing the cancer rate in Calcasieu Parish, the local county, is not significantly higher than the state average. But Wilma Subra, a chemist from New Iberia, Louisiana, who has worked with Mossville residents, says the statistics are misleading because the parish covers such a large area, more than 1,000 square miles, and more than 180,000 residents. Mossville is a tiny fraction of that, with about 375 homes adjacent to the chemical plants. "The people of Mossville are like an experiment. They know that they have high levels of dioxin in their blood, and they're allowed to continue to live there and be exposed," says Subra, recipient of the MacArthur genius grant in 1999 for her environmental work with communities. After the EPA announced its Superfund investigation, Felix says she's hopeful for the first time in years Mossville will be saved. "This is the first time I've had a little hope in EPA," Felix says.